Platinum ring with colorless diamonds 0.08 ctw. Center has halo bezel setting, set with round blue ceylon sapphire . Platinum ring with colorless diamonds 0.08 ctw. 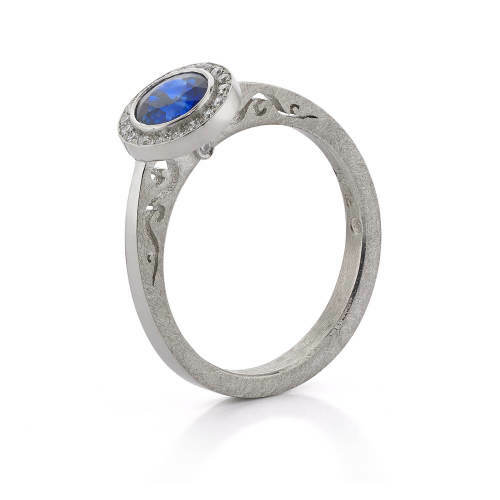 Center has halo bezel setting, set with round blue ceylon sapphire – 0.80 ctw.